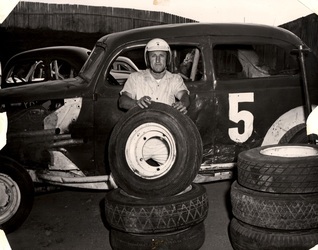 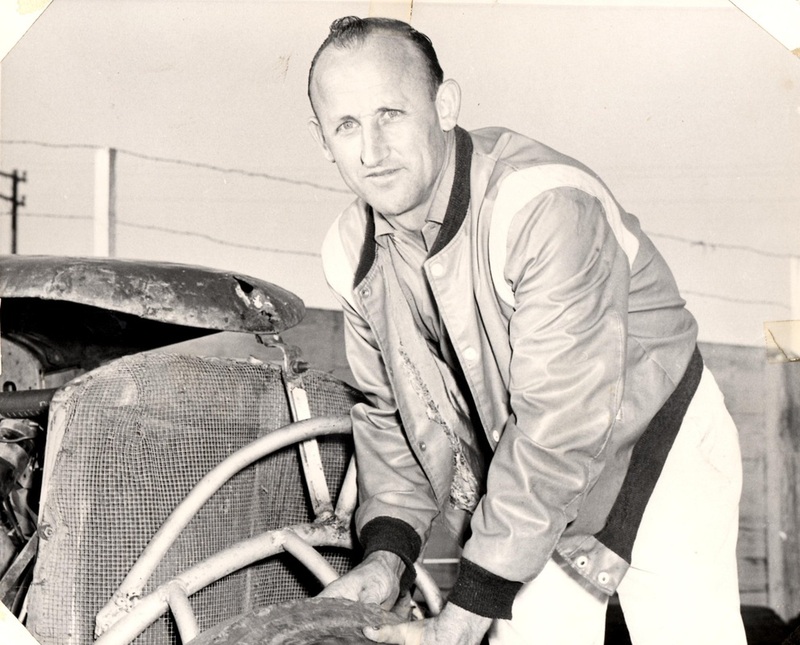 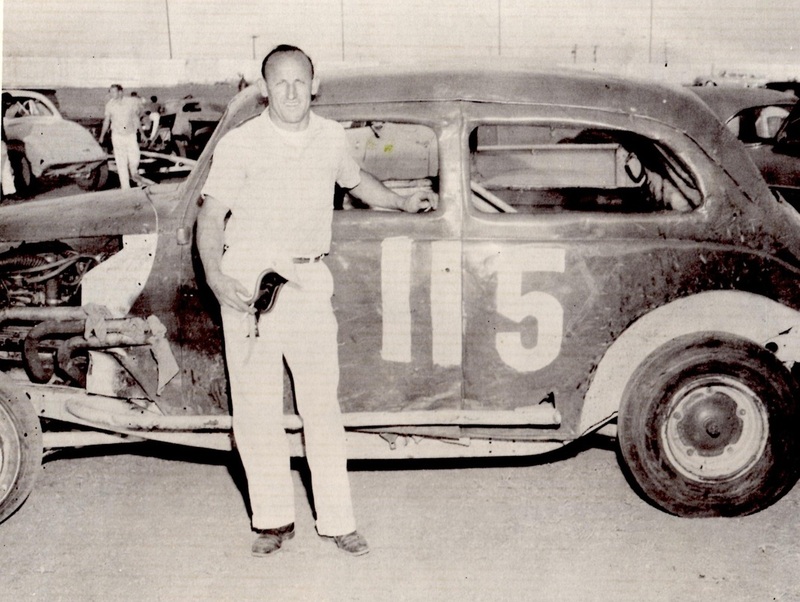 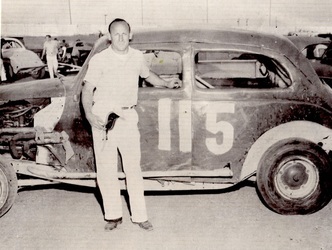 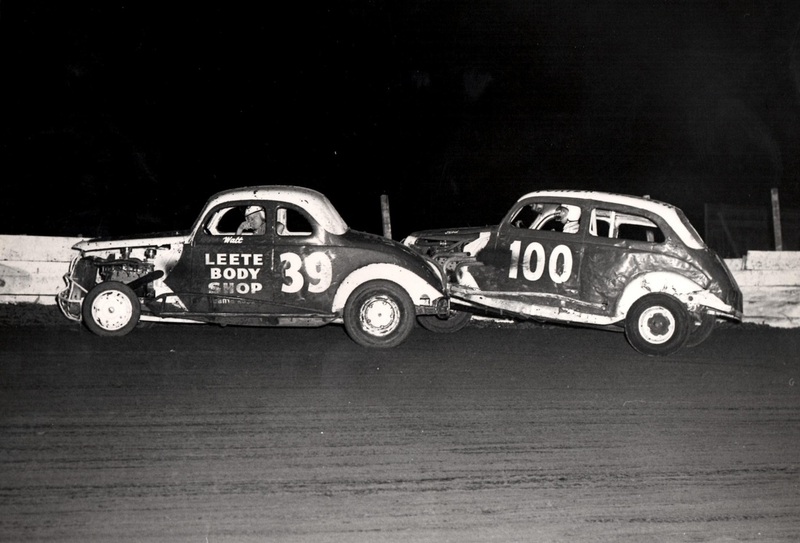 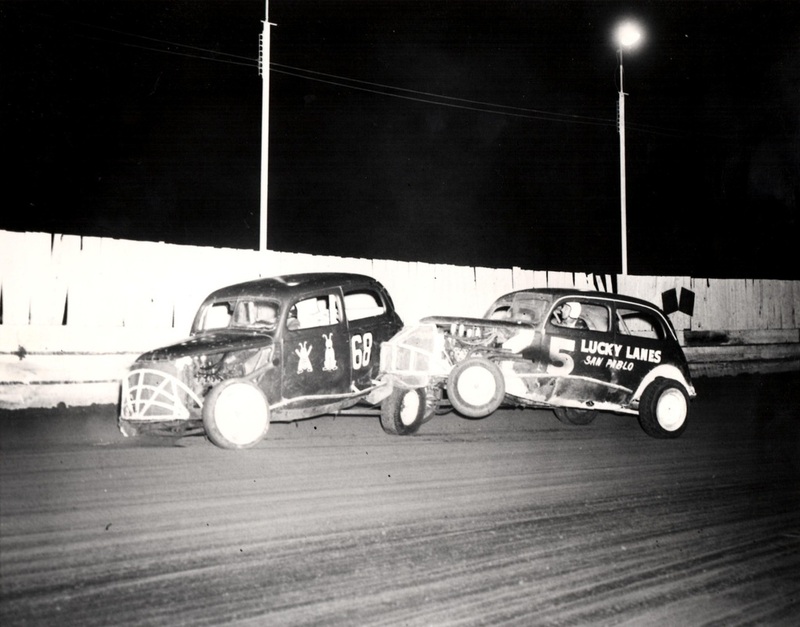 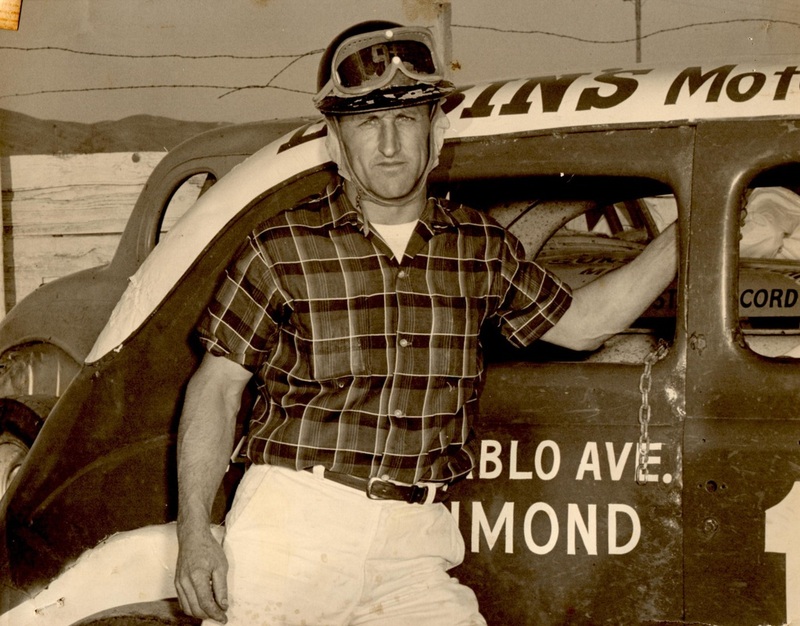 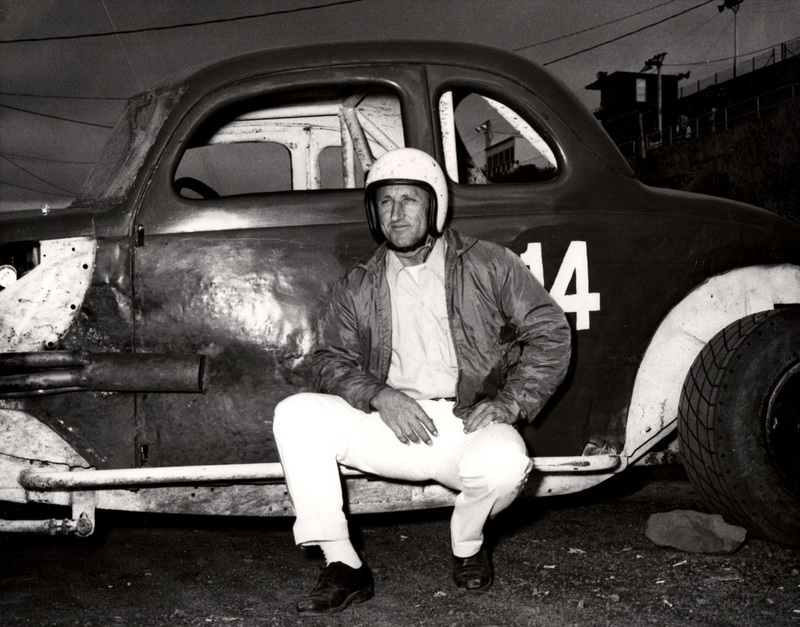 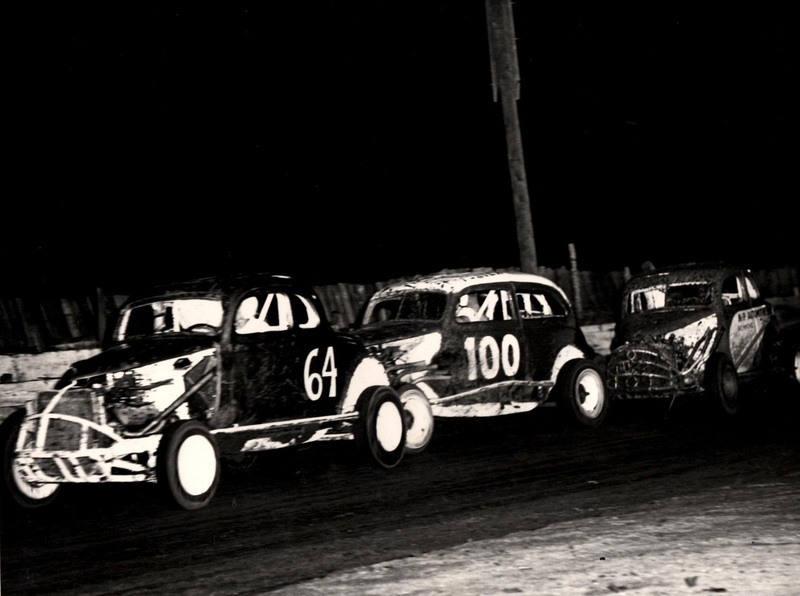 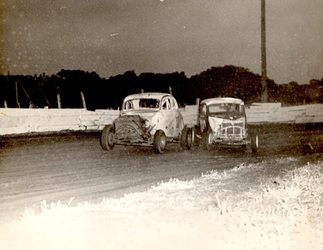 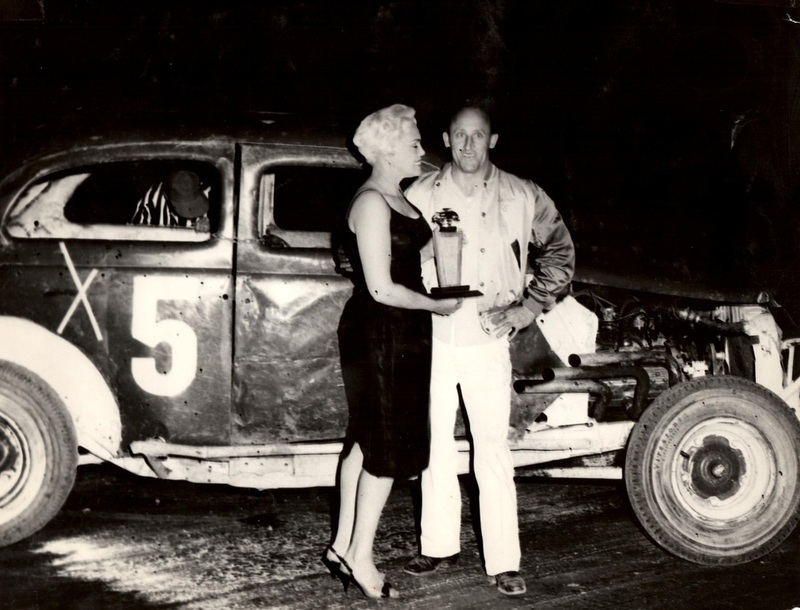 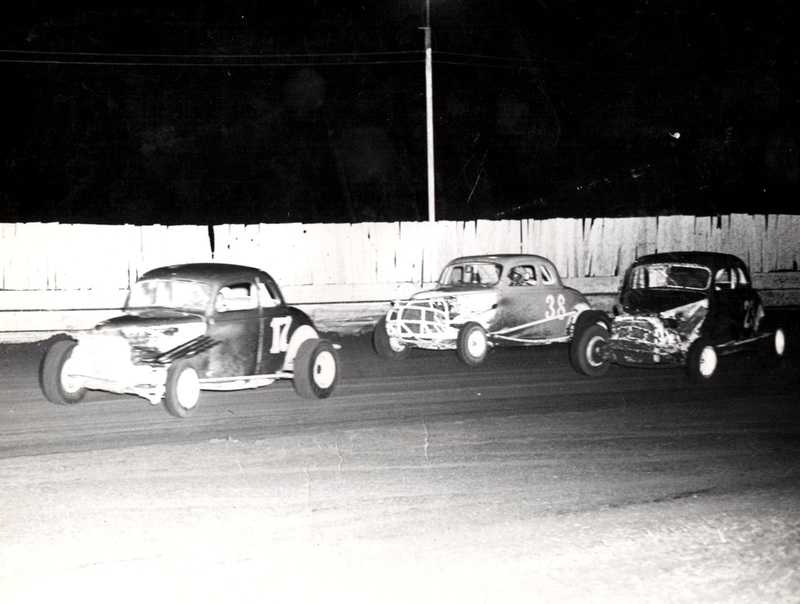 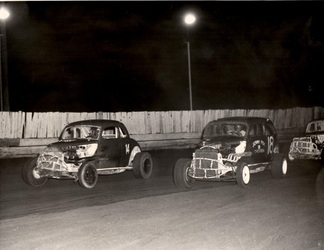 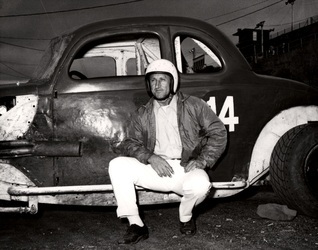 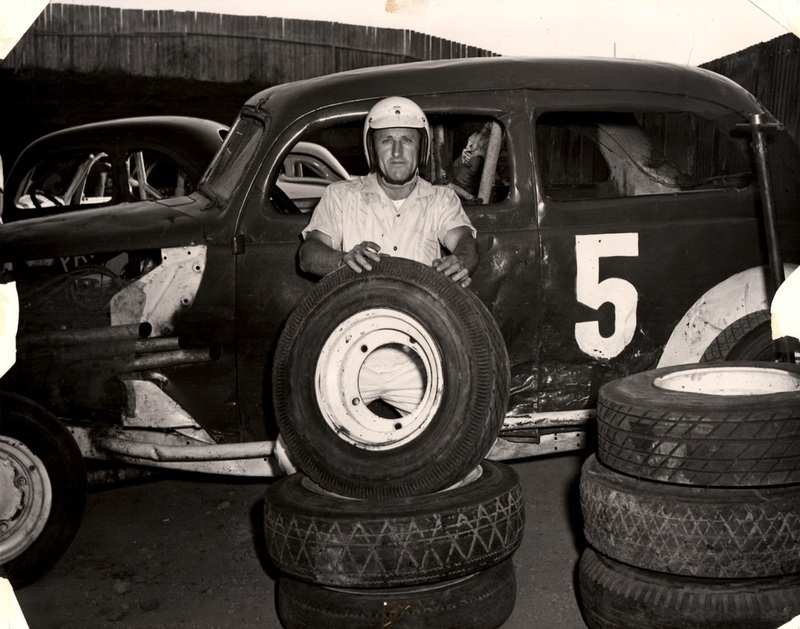 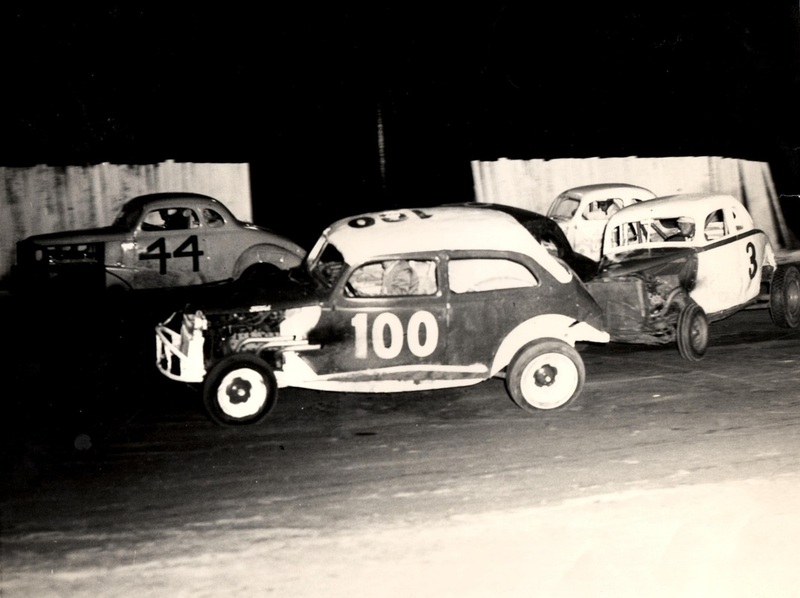 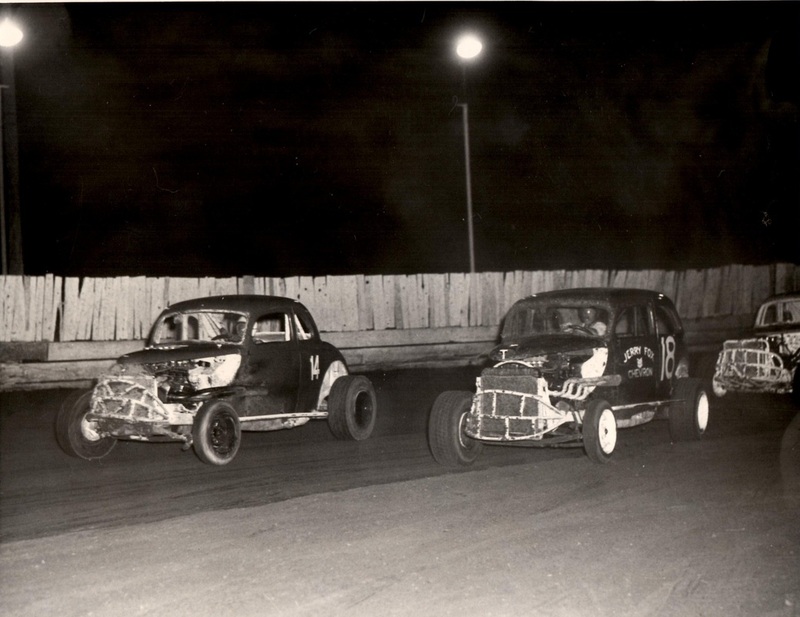 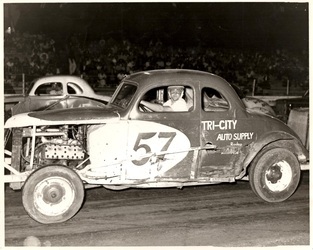 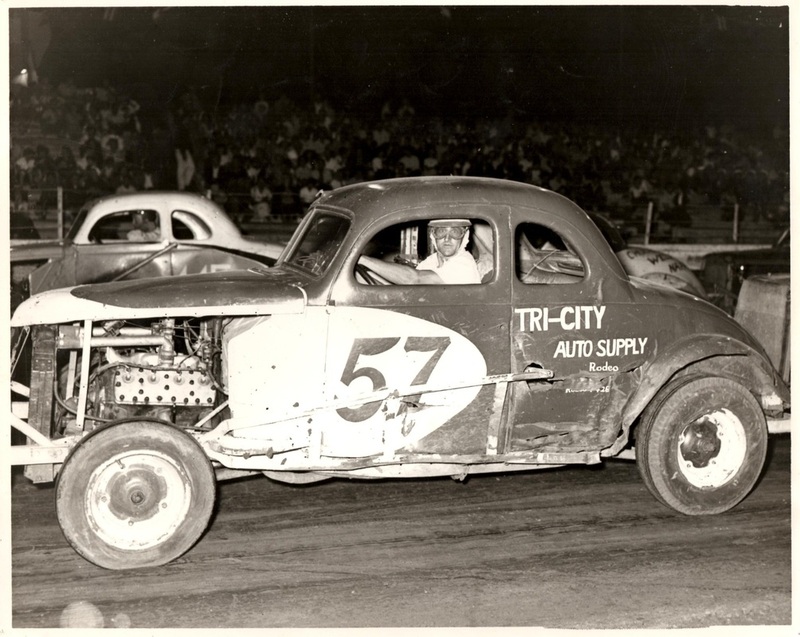 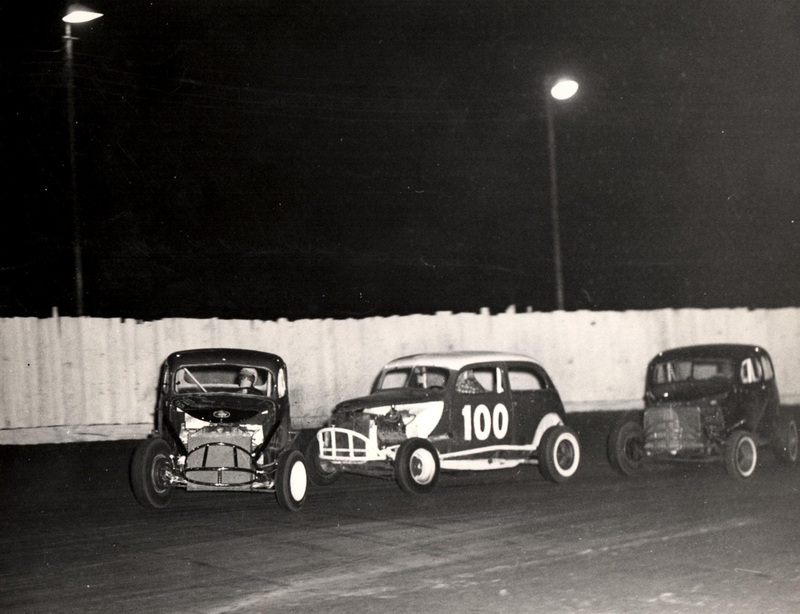 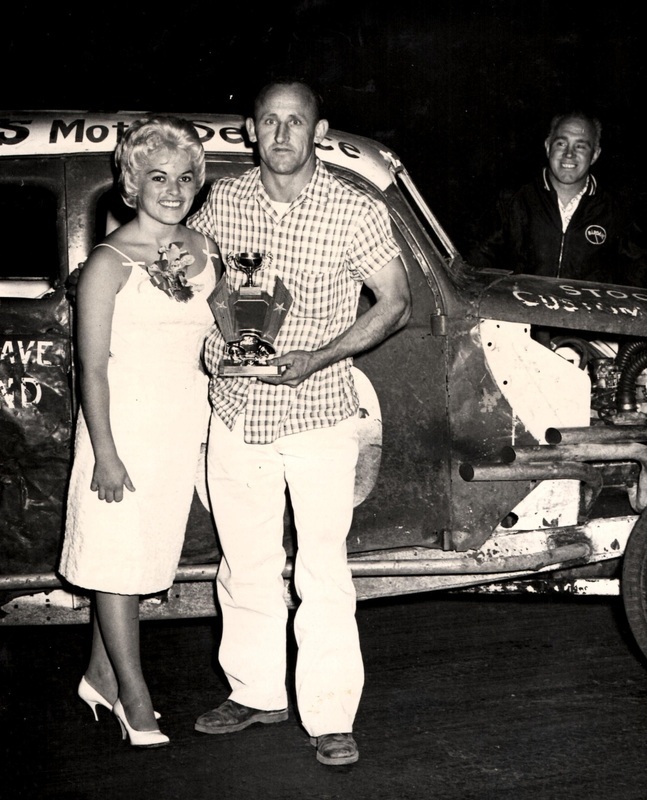 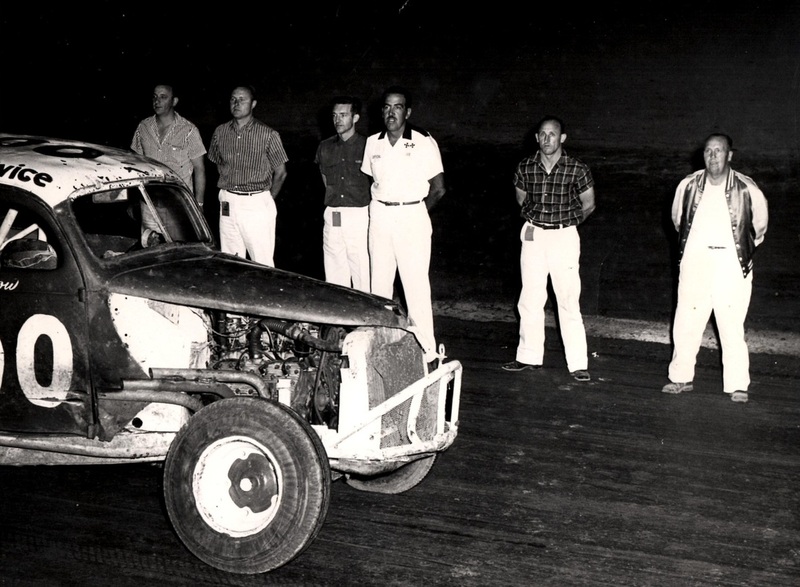 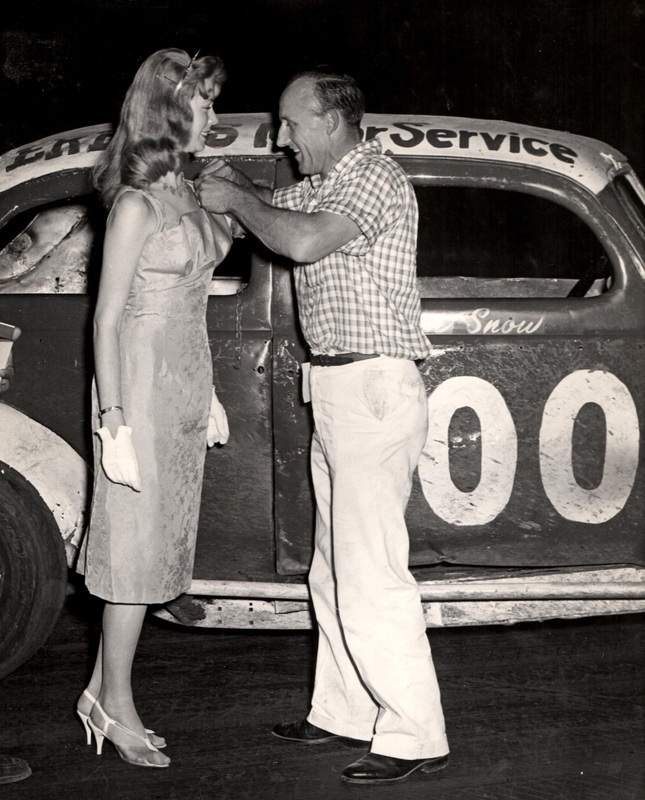 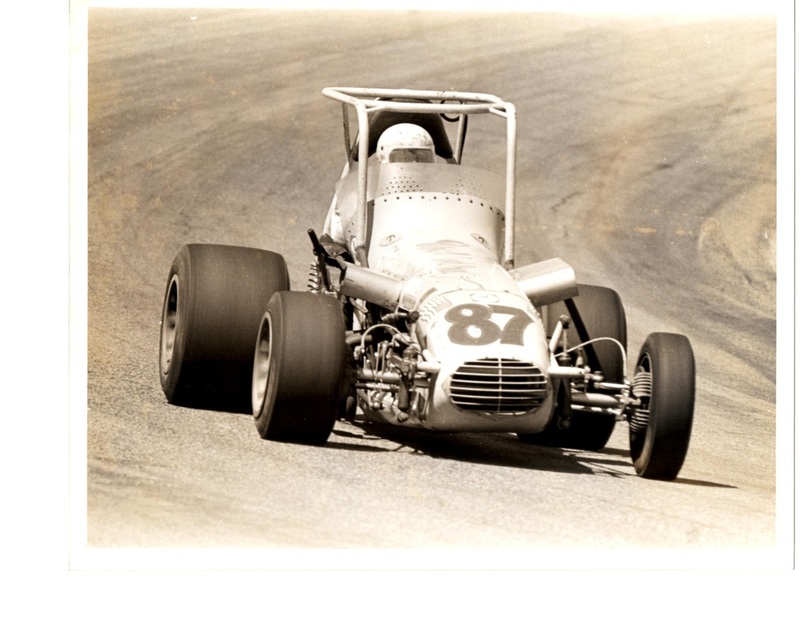 Born August 8, 1926, Nelson raced from 1956 until 1990 at various speedways with hardtops, modifieds and sprint cars. 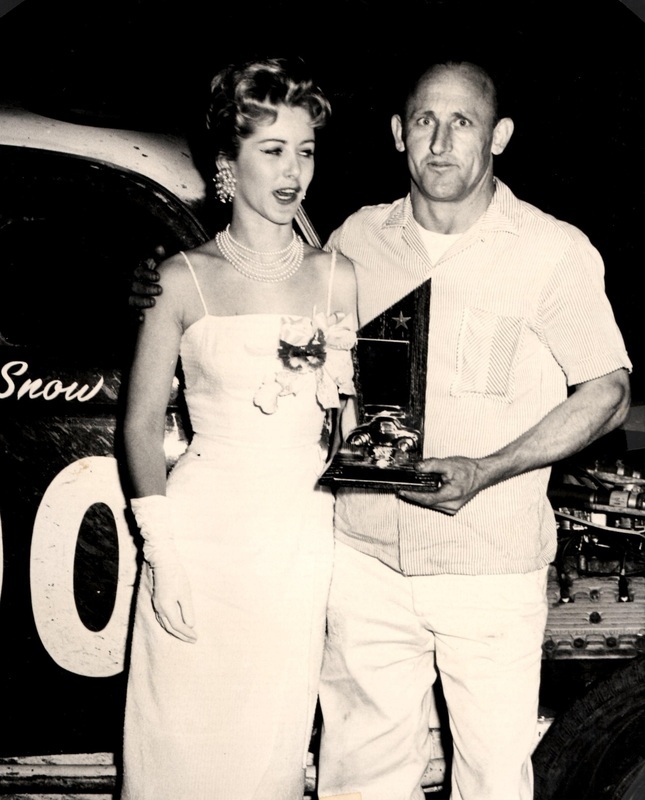 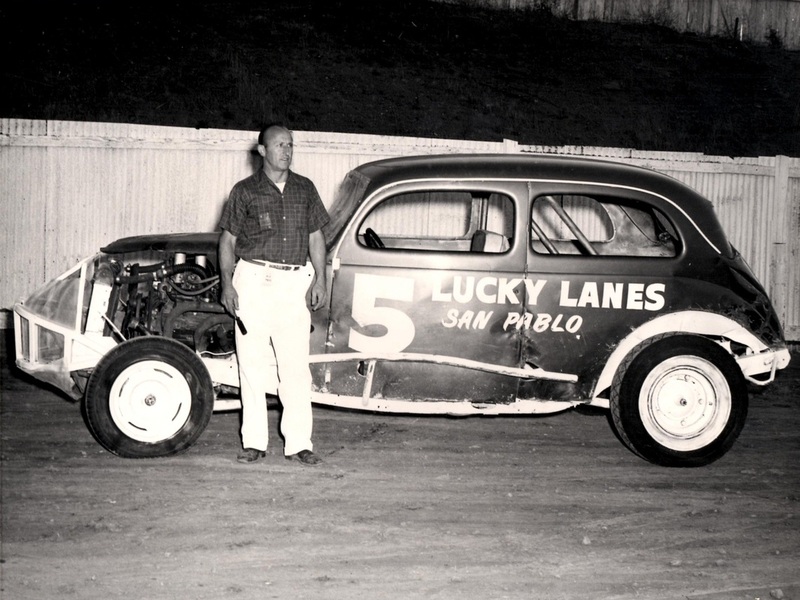 Known as Nelson "from San-Pab-Lo" Snow, he was a fan favorite and well liked throughout the racing community. 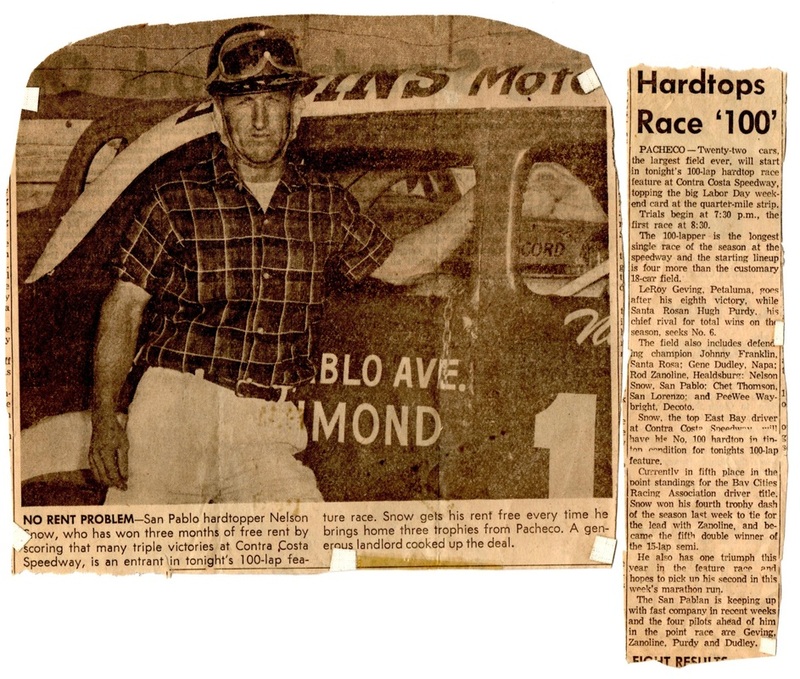 See the synopsis below by his son, Don. 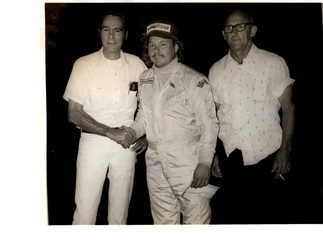 Thanks Don for all the info and photos. 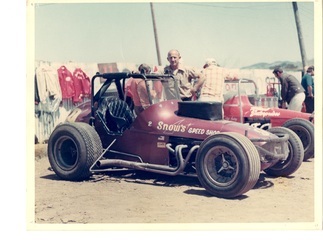 Nelson Snow was born on Aug 8, 1926 in Snyder, Oklahoma, my mom was born there too and so was I. 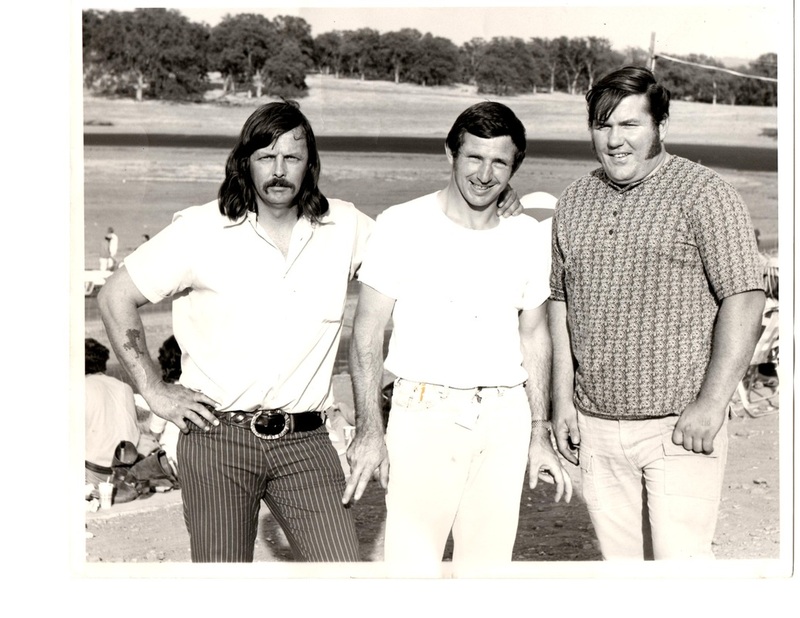 One of my sisters, Linda was born at Fort Sill, Oklahoma and Joyce was born in Richmond, Ca. He somehow got into the Army when he was 15 and went to war. He went to Japan and fought at a place called Bladey Pass on some island and was wounded. He got a purple heart, which I still have today. 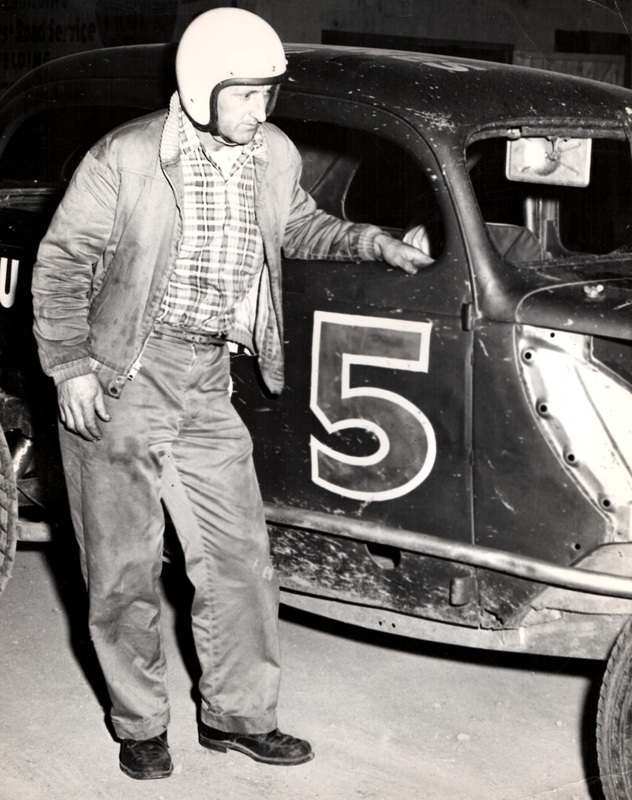 I think he started racing in 1956, he was a bull rider in the rodeo before that. I went with him when I was 4 years old and the other drivers wives would keep an eye on me, that's when my mom and sisters didn't go. 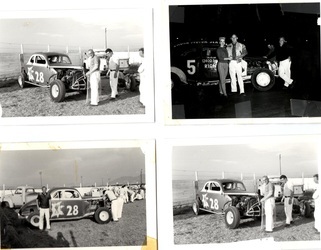 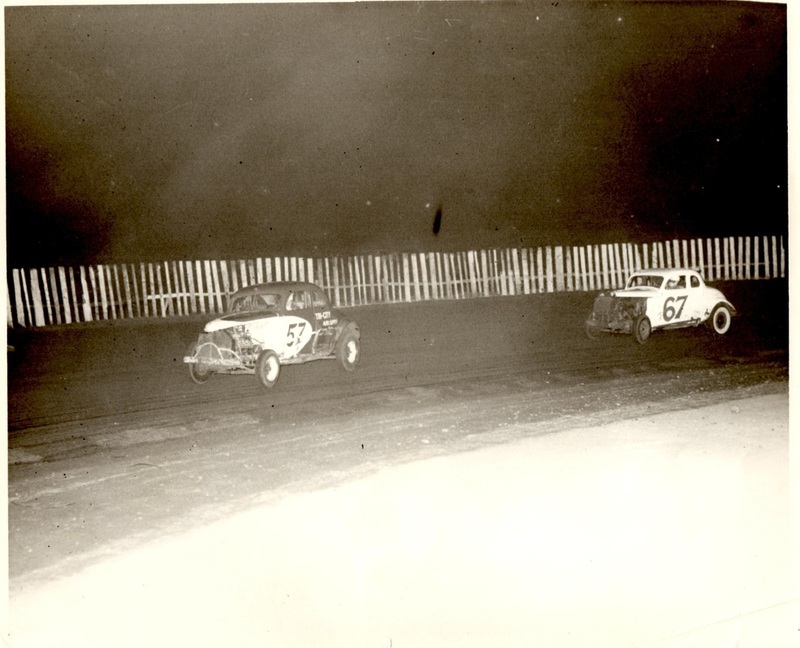 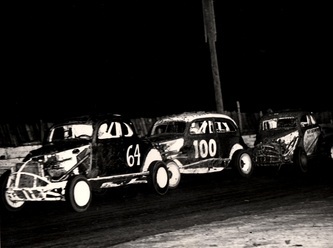 In the photos, the 57 car was in 1956 or '57, the black 9 car was at the end of '57, the 28 car, the "purple people eater", was in 1958, he ran the 100 at different times but mostly in 1960 and '61. 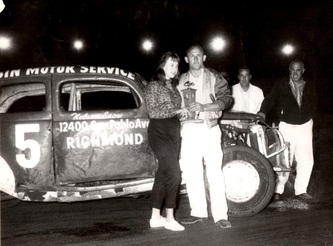 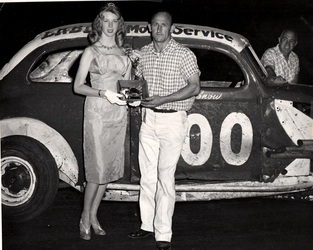 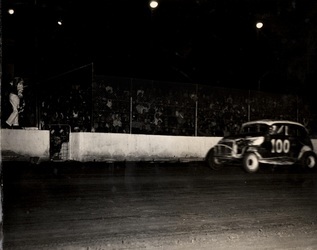 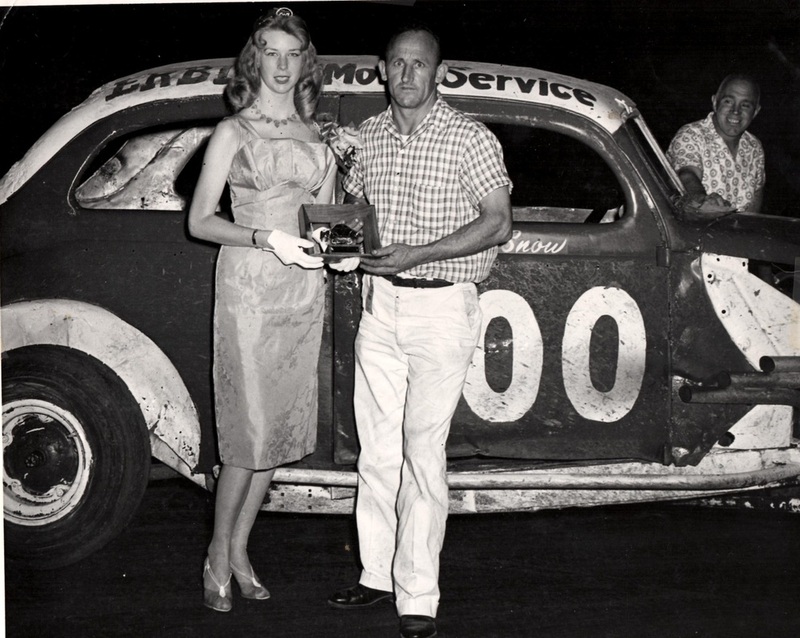 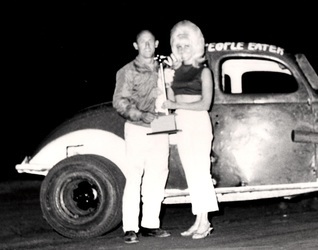 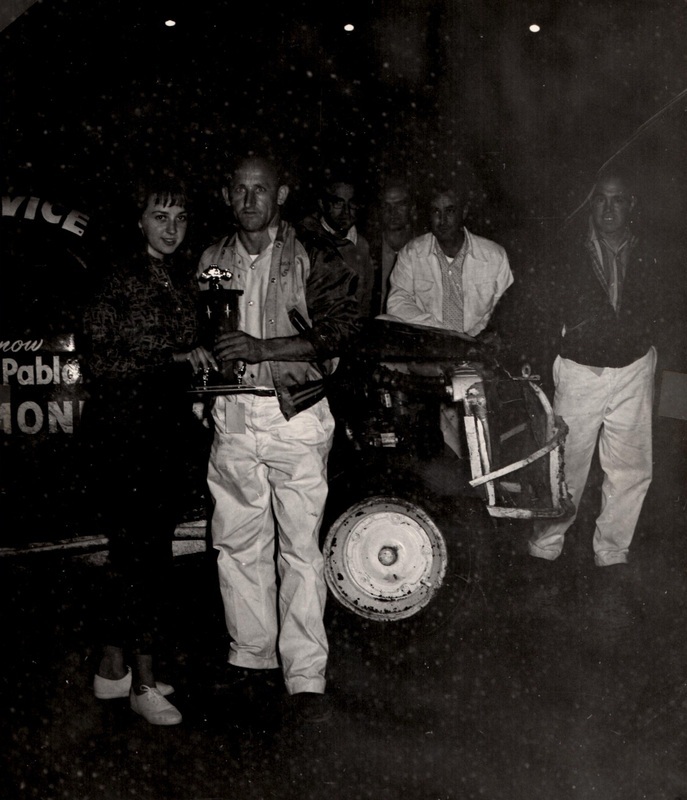 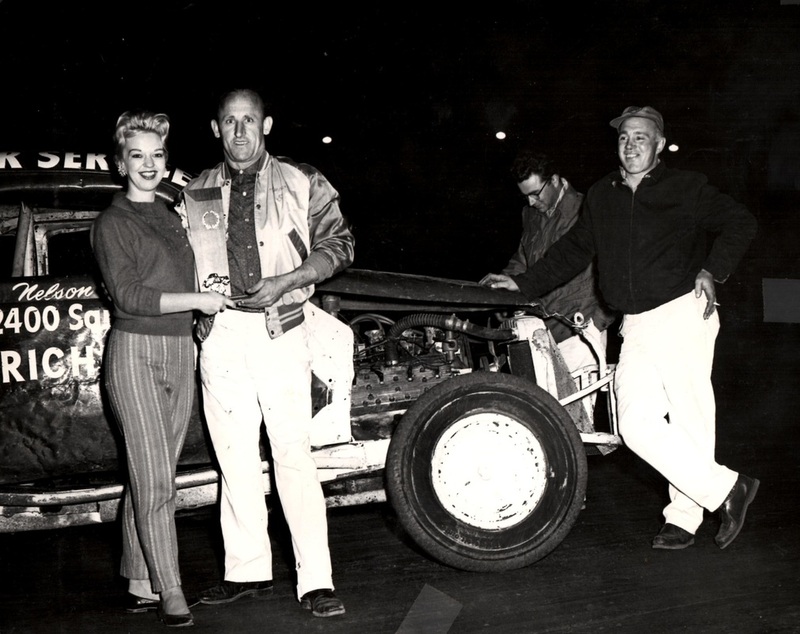 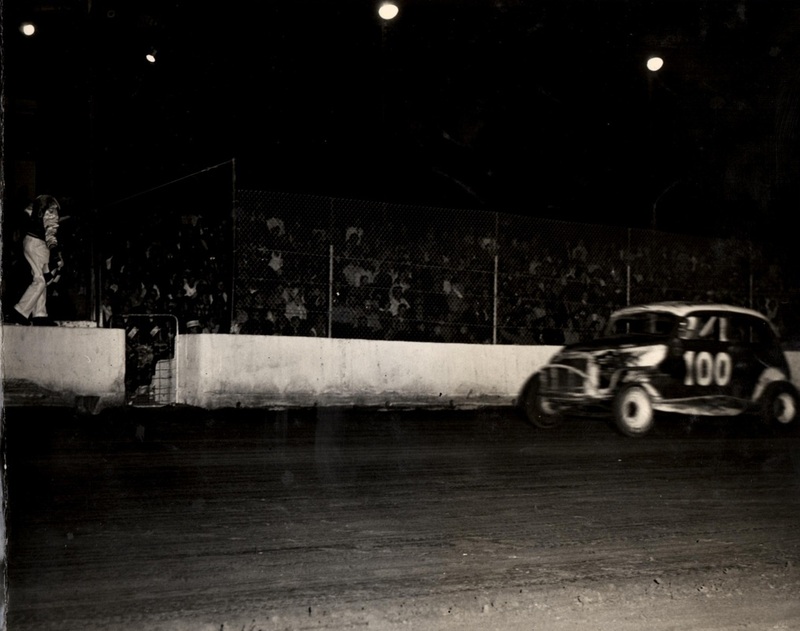 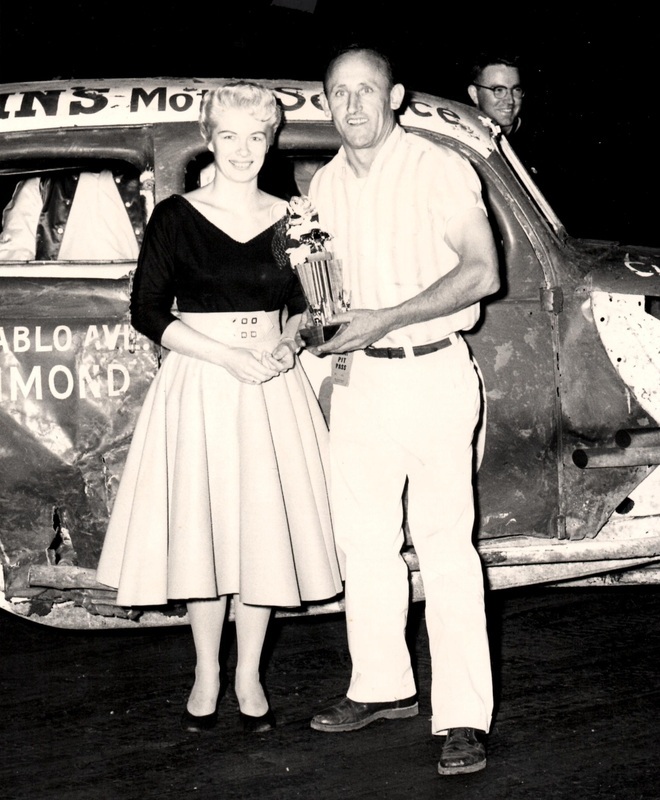 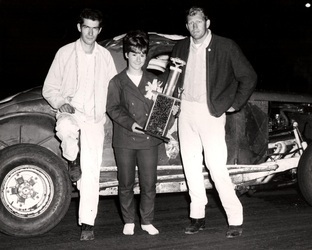 He won the last 100 lap race at Pacheco, I think it was August of 1960. 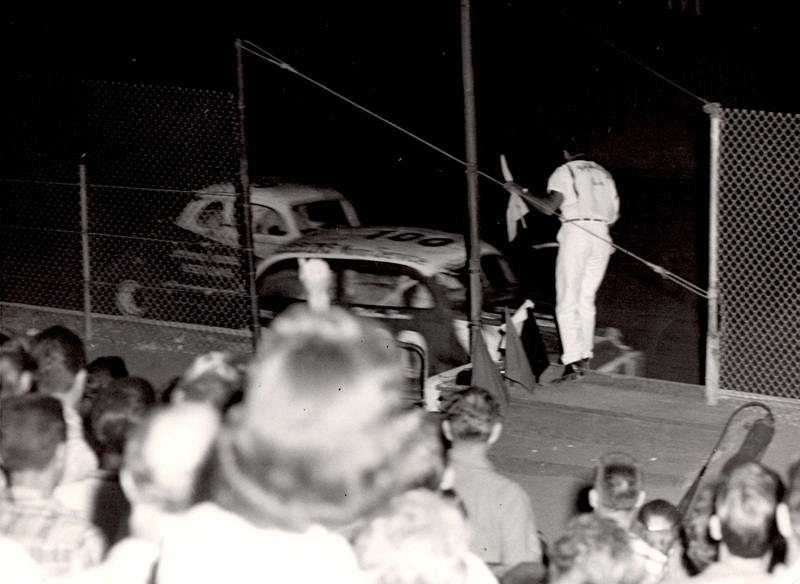 The Lucky Lanes car was in 1962 and '63 before he got hurt. 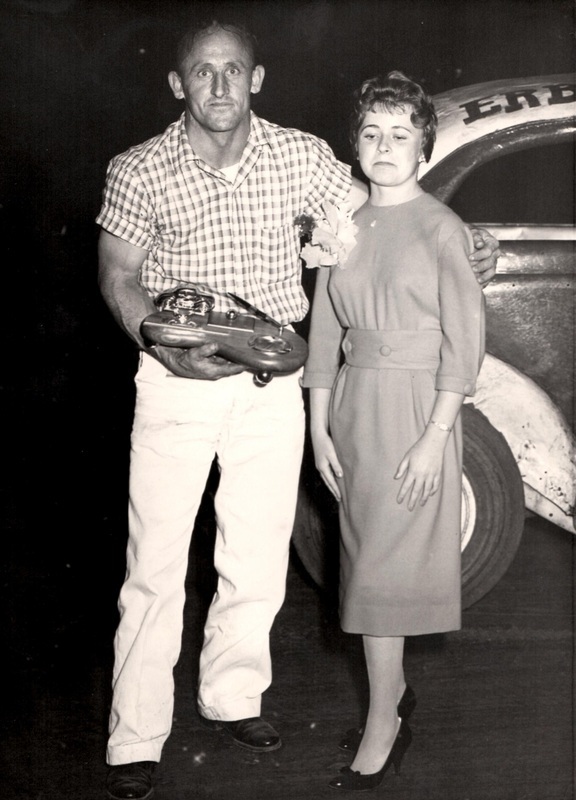 He and my Mom were almost killed in a car crash in June 1963. He had just finished racing Saturday night at Vallejo and they decided to go to Reno, so some friends took me and my sisters home. 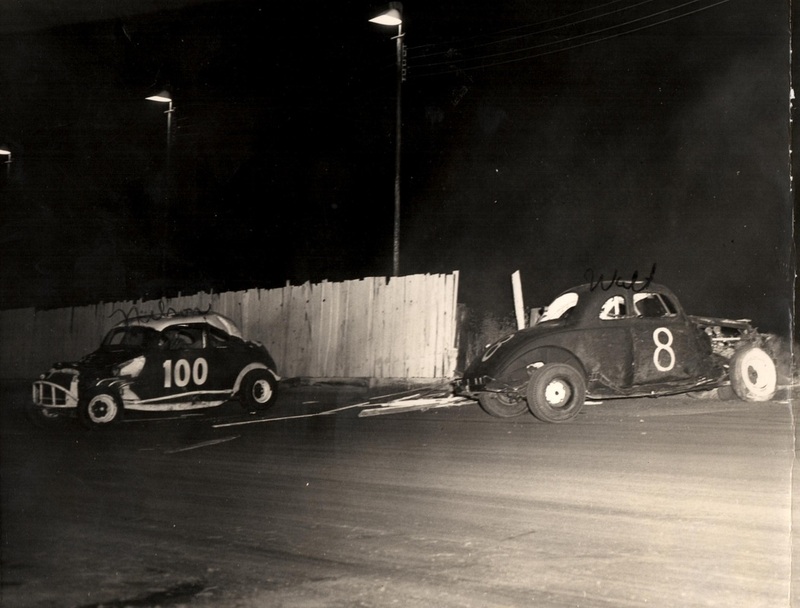 They were on their way when a drunk came across the road and hit them head on and they were both in real bad shape. 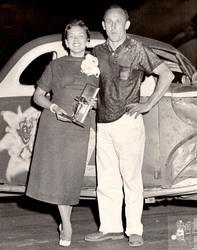 Dad was in the hospital for 8 months and Mom was in there for 18 months. They were never the same after that night. 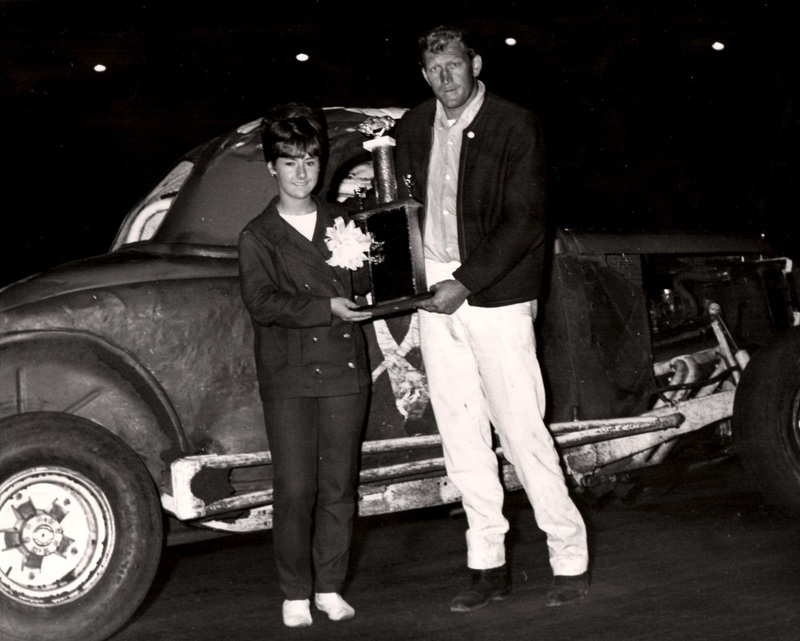 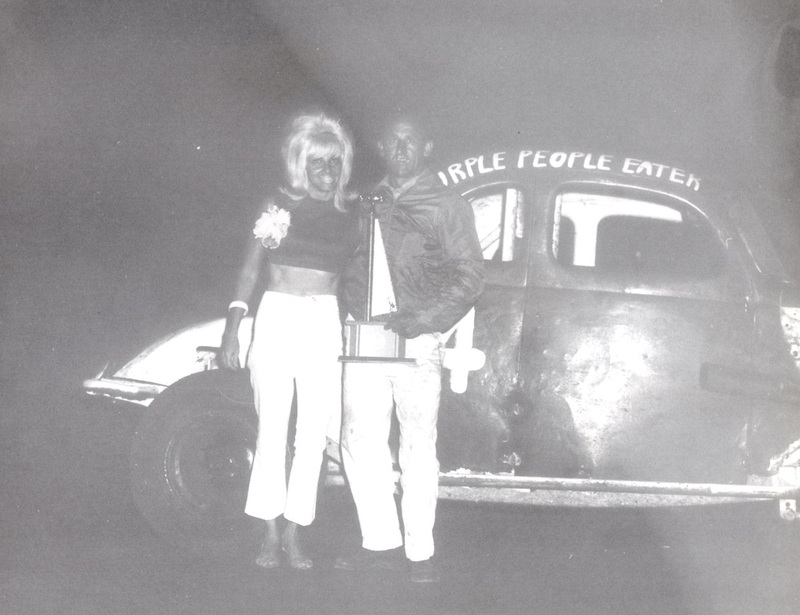 He did buy a hardtop from Jim Kaiser in 1968 or '69 and raced it at Vallejo for a year or two. The tracks he ran at that I can remember are, Oaks Ball Park in Oakland, San Jose, Belmont, Alviso, Pacheco, Vallejo, Santa Rosa, Hughes Stadium in Sacramento, West Capital, Kerny Bowl in Fresno, and Clovis. We ran a speed shop together in San Pablo for over 25 years and had a great time doing it. 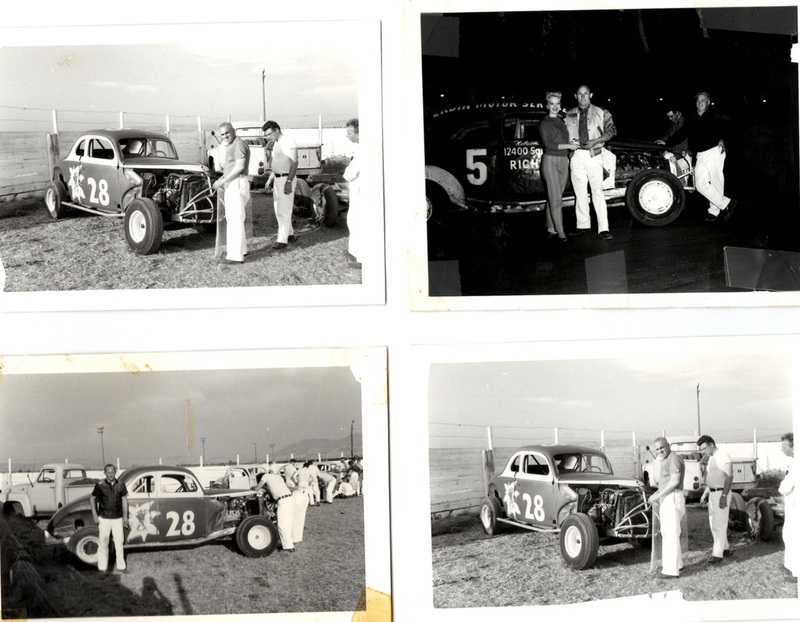 We raced supers, sprint cars, drag cars and champ dirt cars together and had a blast. 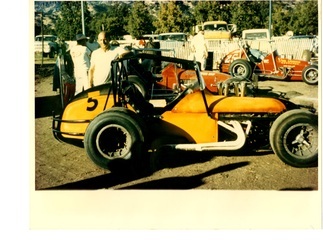 I started drag racing in 1962 at Vaca Valley in a a gas dragster. Well, my mom didn't care for that, so she talked my dad into getting me a super modified to race at San Jose and Kerney Bowl. 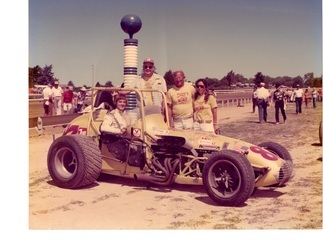 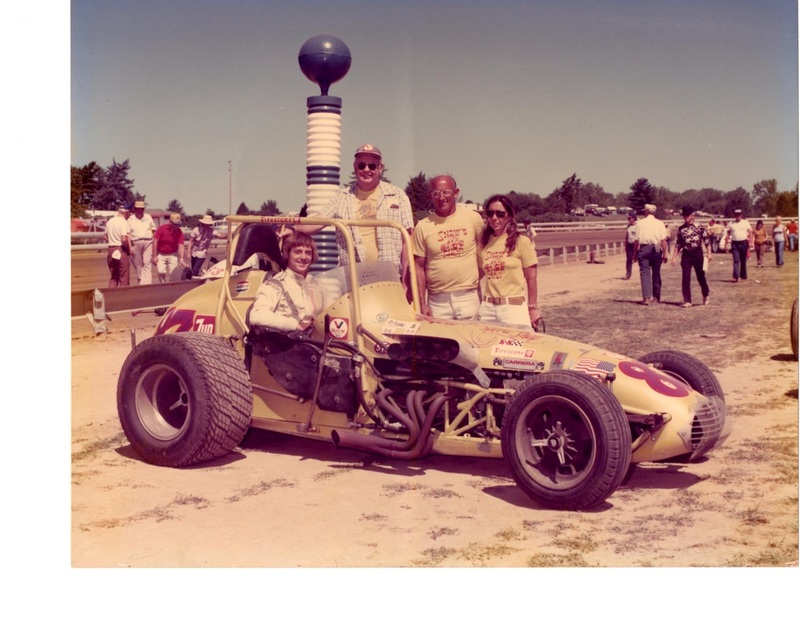 Then in 1969 me and my dad bought a couple of sprint cars and went racing all over the country. We built a champ dirt car and raced it with USAC for a few years. 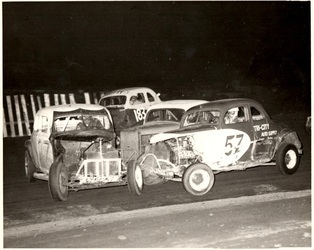 We raced in the first World of Outlaw race at Devils Bowl in Dallas Texas. 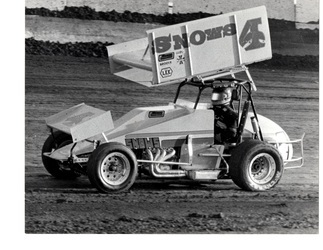 We raced with the Outlaws for over 25 years using many different drivers. 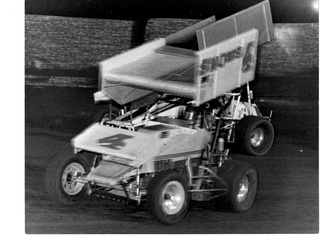 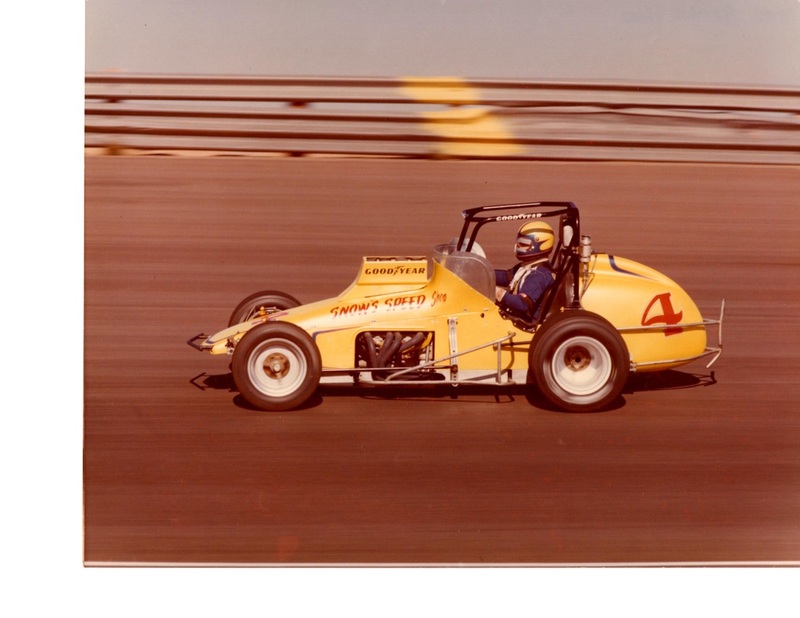 My dad drove one of our sprint cars into the 1980s. 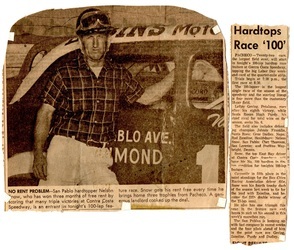 My dad raced until 1990. 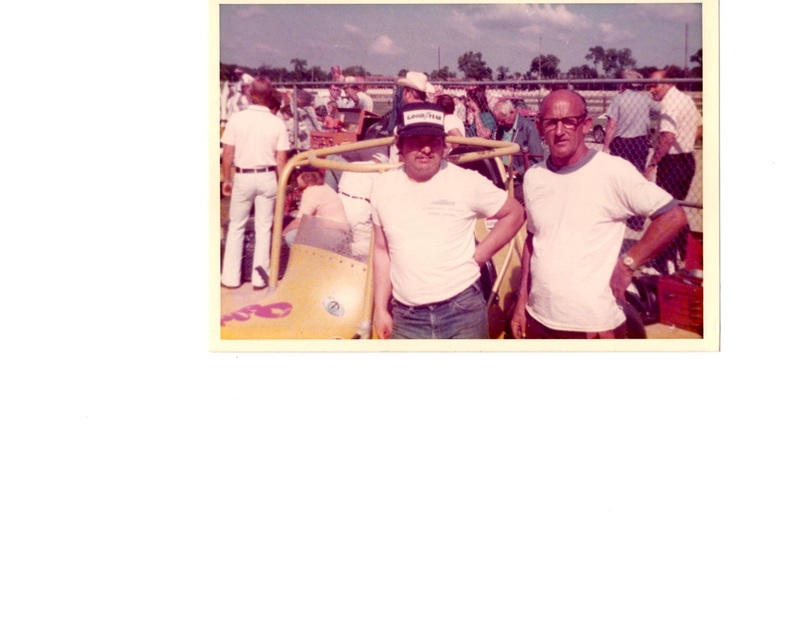 Bob, I had forgot to tell you my Dad passed away on May, 31 2010 in his sleep, its really hard for me to write about this as I really miss him as we were so close for so many years. 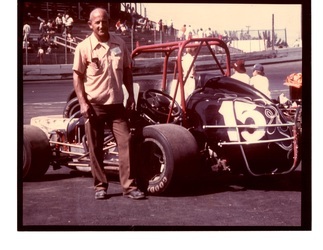 He was the best father that anyone could ever ask for. 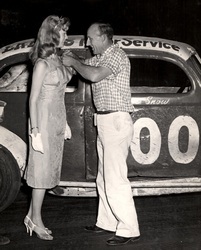 He was my best friend and helped me in so many ways. 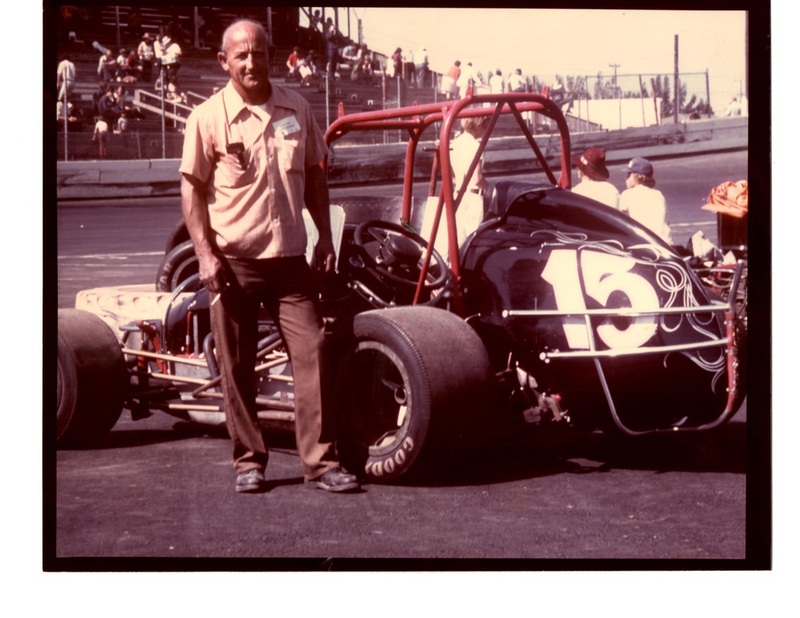 So I'm really very pleased that people will be able to see all of his racing memories. Thanks again Bob for doing this. I have changed some of dates from what Don gave us, according to some further research. 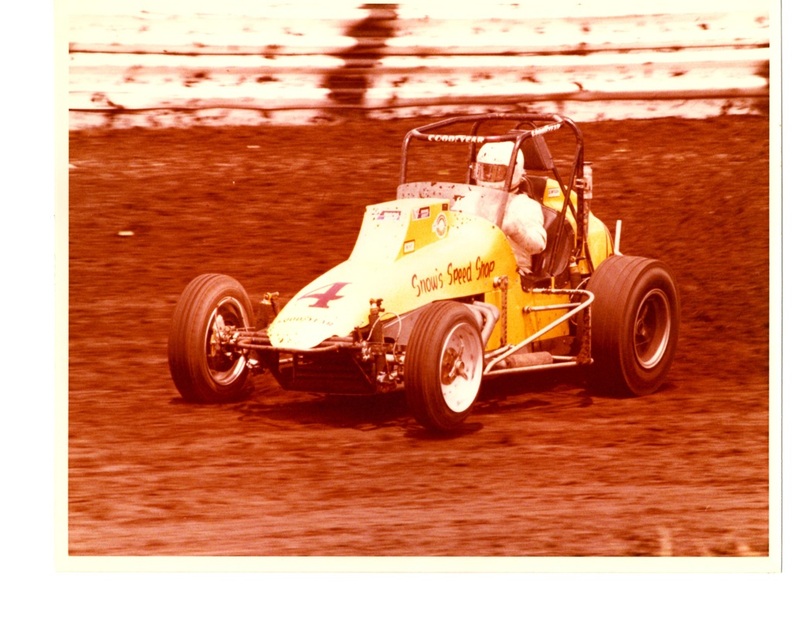 If I am incorrect, I apologize and welcome correction. That's what this site is all about, trying to get it right using memory and maybe, more reliable, research. 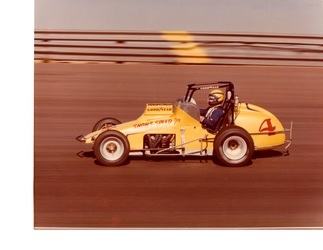 Thanks Don for these great photos and information. 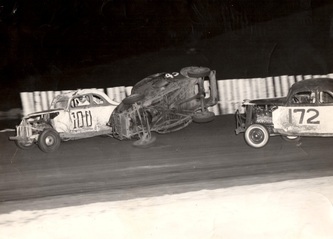 1960, Nelson won this 100 lapper which Johnny Franklin won in 1959. 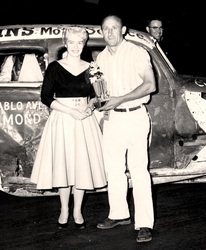 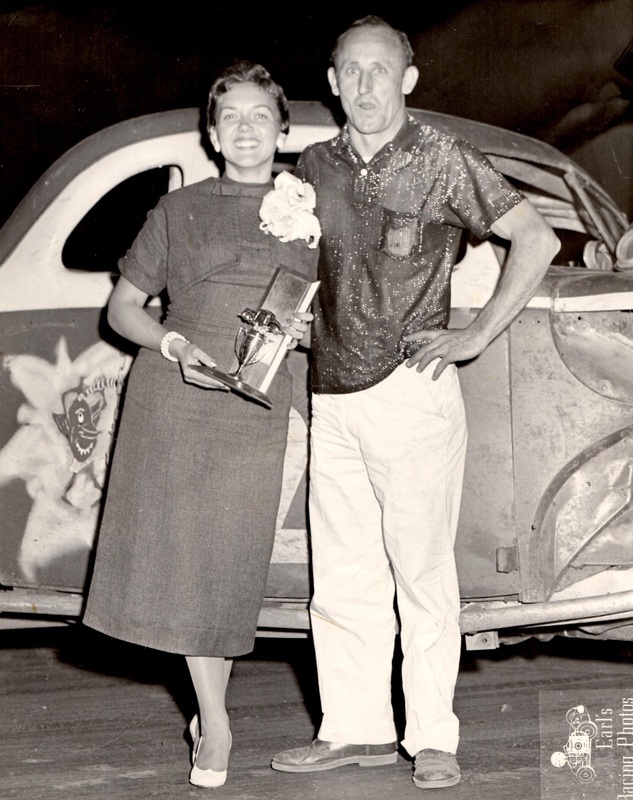 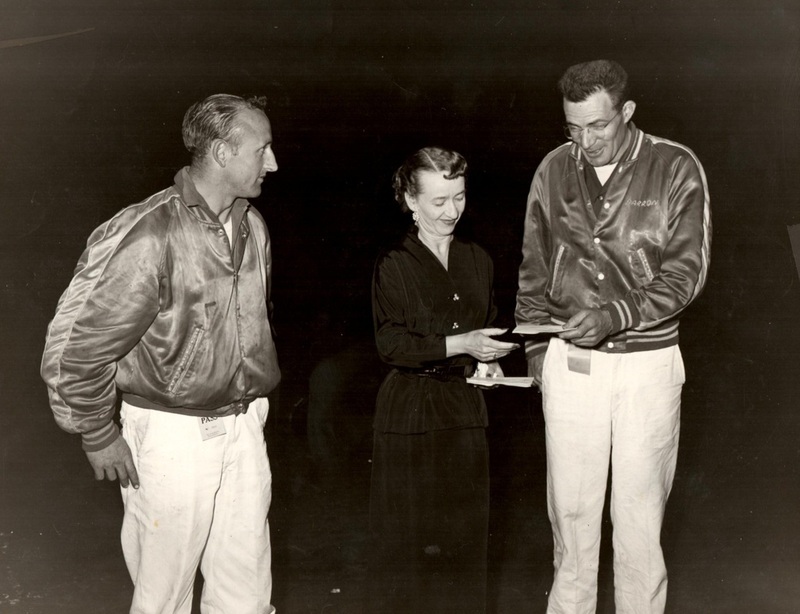 The trophy for winning the 100 lap race Labor Day weekend 1960. 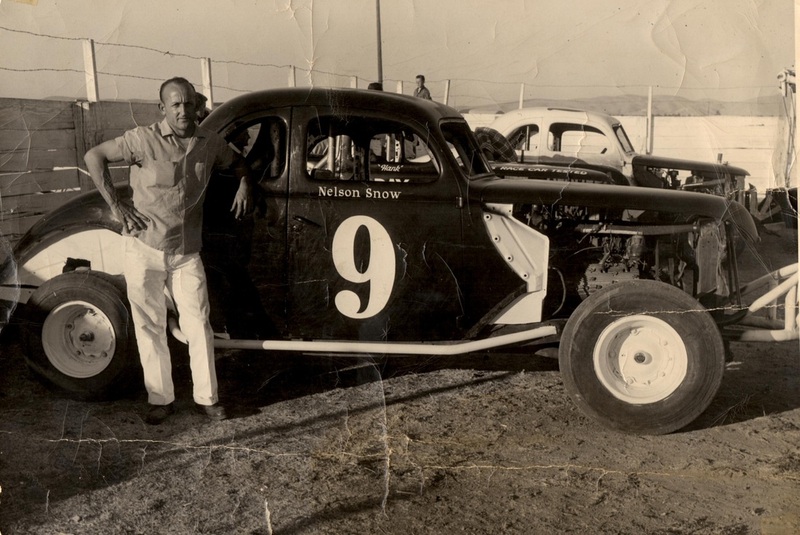 Nelson sure won a lot of trophys! 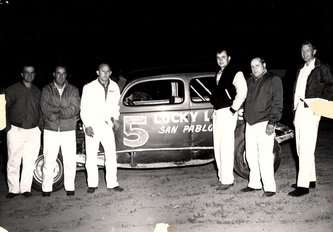 From left to right: Leroy Geving, Johnny Franklin, Hugh Purdy, flagman Joe Valente, Nelson Snow and an official, Ray. 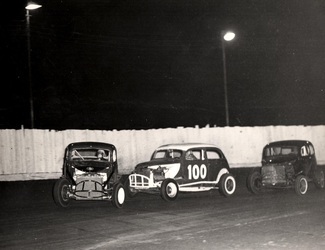 Looks like trophy dash line up. 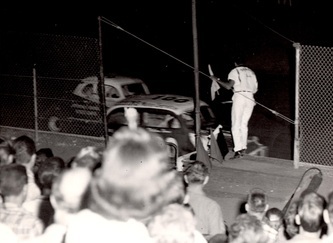 "Jumpin" Joe giving Nelson the checkered flag. Another win! 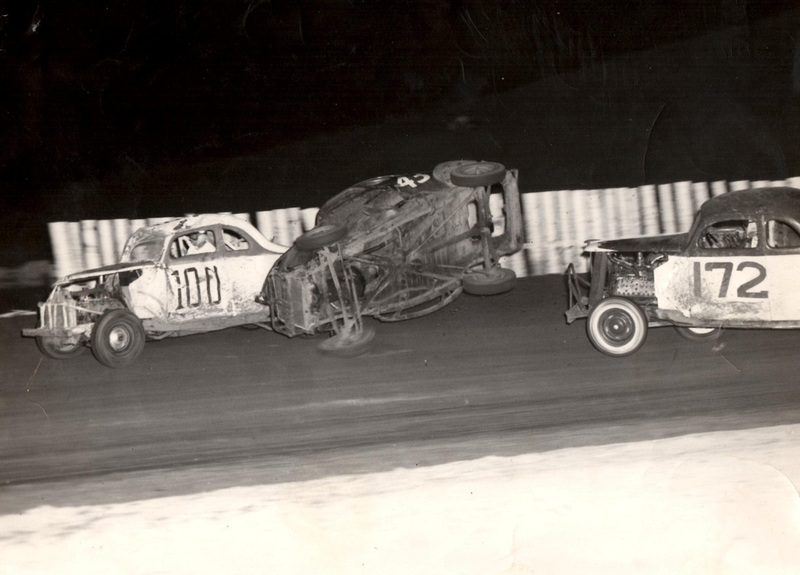 yep, looks like he got up-side-down! #8 Julian Castro? Nelson's daughter as trophy girl. 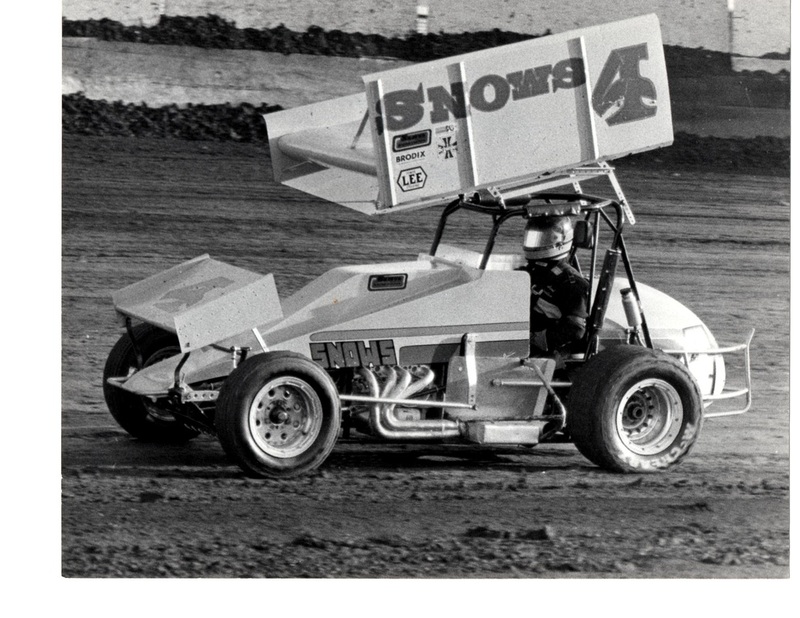 Can anybody ID the driver? Nelson's daughter Linda as trophy girl. Nelson Snow, thanks for the memories. 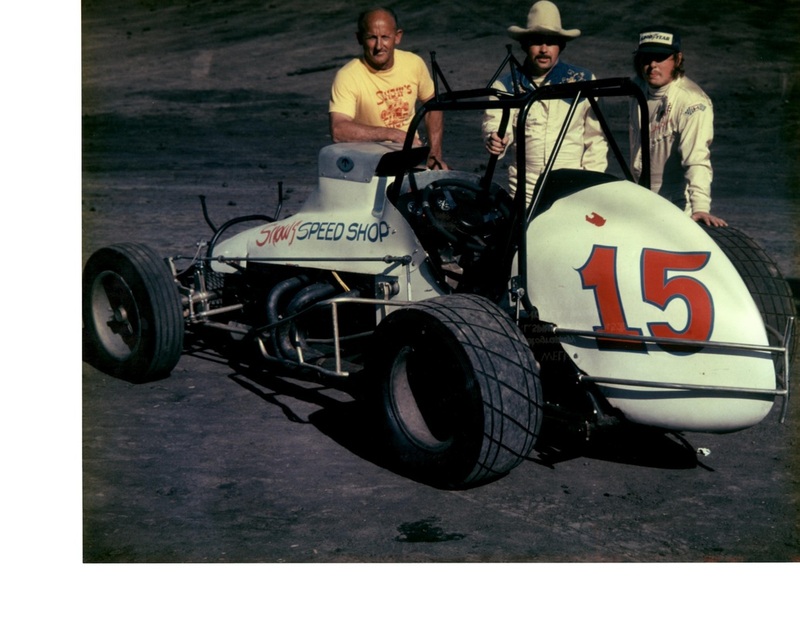 Here are some various supers, sprints and champ cars Nelson and Don ran over the years after the Vallejo days.